Top-of-the-range features made more affordable. Choose from our range of Huawei phone deals on pay monthly, SIM free or finance. Pronounced ‘wah-way’, the Chinese-based company has burst onto the mobile phone scene in recent years, shaking up the industry with some stunning smartphones. What you’ll find with Huawei are feature-packed mobiles housing cutting-edge technology, all presented in beautifully designed casing at competitive prices. What network should I buy a Huawei mobile on? We know everyone wants different things. Which is why we’re proud to offer a wide range of all the latest Huawei mobile phones, across the UK’s four biggest networks. It means you can compare deals across EE, O2, Three and Vodafone on the Huawei mobile you want. That way, you know you’re not missing out - we have all the best Huawei pay monthly deals in one place. Joining EE means you get access to the UK’s biggest 4G network, with lightning-fast data speeds direct to your Huawei mobile phone. Choosing an EE pay monthly deal also unlocks a load of added perks and benefits, like a free six-month subscription to Apple Music, as well as popular entertainment services Amazon Prime Video and MTV Play. Upgrade to a Max plan and you get free BT Sport for the lifetime of your contract, not to mention five additional roaming countries! One of the biggest reasons to buy an O2 pay monthly deal is the Priority app, that’s exclusive to O2 customers. Open Priority on your Huawei mobile phone to discover a world of perks, prizes and surprises, including early access to sporting event and music gig tickets. Perfect if you’re into your live entertainment! If Priority wasn’t enough to swing you, then O2’s network coverage might, after being awarded Britain’s Best Network for Coverage 2019. Like the sound of that? Three is the mobile phone network that lets you roam in over 70 worldwide destinations, as standard with Advanced plans. As well as all the EU countries, you get to use your Three pay monthly allowance in places like Australia, New Zealand and the USA. Fantastic news if you’re a bit of a jet-setter. As an additional perk, Three customers get exclusive access to the Wuntu app, which is filled with weekly offers and discounts from high-street brands, with the odd freebie! If you want to join Vodafone’s network, we recommend going for a Red Entertainment plan. Along with your cracking data, text and call allowance, you get to choose a free 24-month subscription between Spotify, Amazon Prime Video, Sky Sports Mobile and NOW TV Entertainment. That’s a big saving right there! Plus, on Vodafone Red Entertainment pay monthly plans, you can roam in over 70 worldwide destinations, using your allowance like you would at home. Now you’re talking! If you’re already on a SIM only deal that you’re happy with, and just want a new mobile phone without a pay monthly allowance, then a SIM free Huawei mobile, or one on finance, will do just nicely. They’re unlocked and work with any compatible UK SIM card, so you can start using it right away. The only different between SIM free and finance is the latter allows you to spread the cost over time, into smaller and easier payments. Whichever suits you better! Which Huawei mobile should I buy? 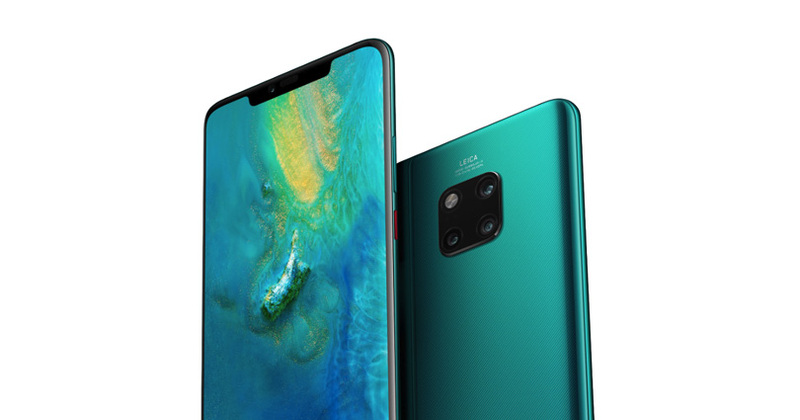 Huawei Mate 20 Pro is one of the best mobiles in the business, with some of the most advanced technology you can buy. It packs a Leica Triple Camera, reverse wireless charging (for charging other mobiles) and facial recognition. What more could you ask for? 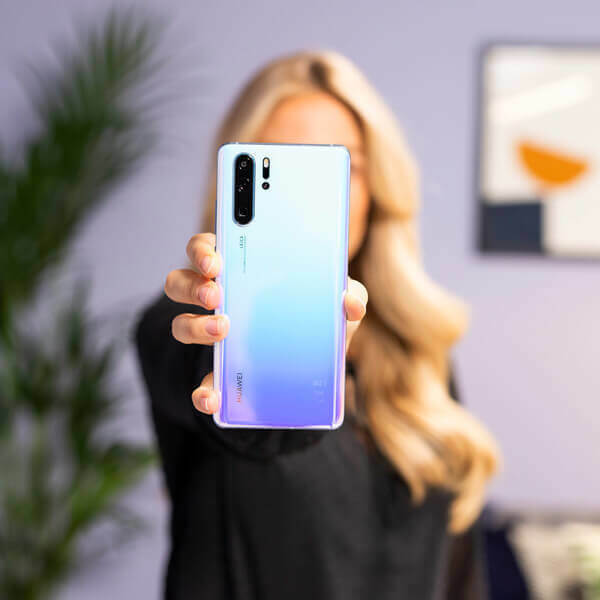 Huawei really is taking on the professional camera market, with its powerful, photography-driven Huawei P30 Pro. Co-engineered with Leica, this device features the world's first Quadruple Camera for brighter, better photos. Photos that you can view and enjoy on a spectacular 6.47-inch FHD+ display. 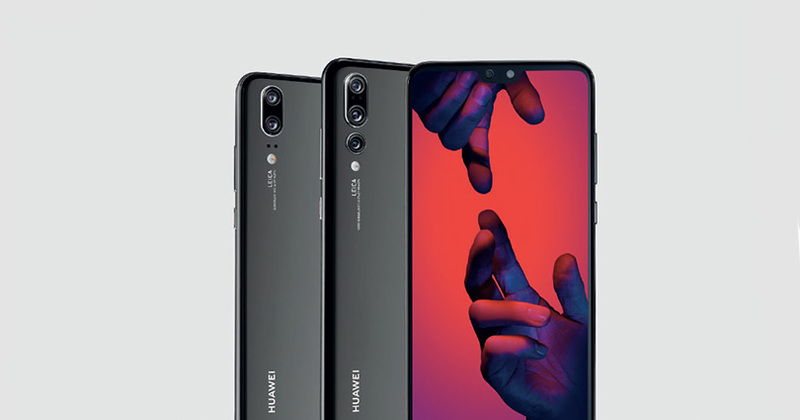 Its smaller brother, Huawei P30, is a great alternative if you want a more compact mobile at a great price. What are the best Huawei mobile features? When it comes to Huawei mobile phones, the focus is on the camera. Literally. 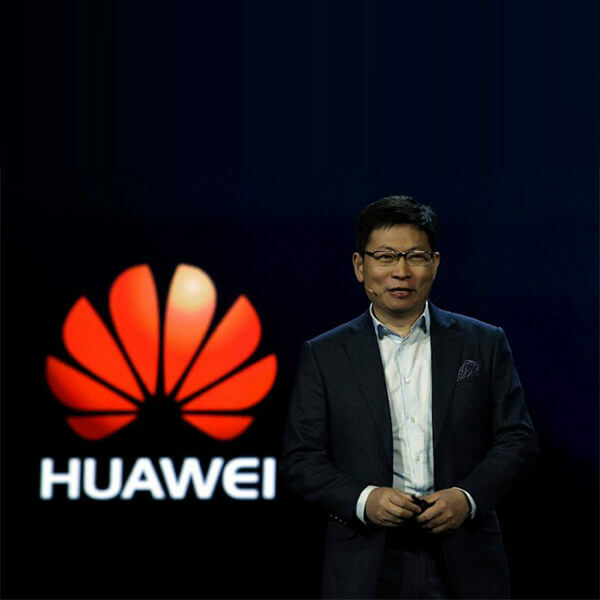 Huawei works closely with Leica - the professional DSLR camera people - to create exceptional cameras for its range of mobile phones. 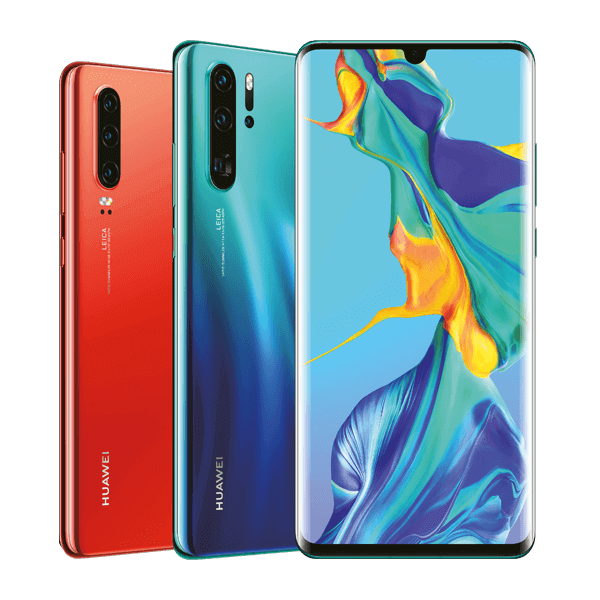 Perhaps the best of the bunch is the Quadruple Camera on Huawei P30 Pro, which features four lenses for a range of photography results. Another cool feature that we love on selected Huawei mobiles, is the Reverse Charge feature, that powers up other compatible devices straight from your Huawei. Handy if your friend is running low and you want to save the day! 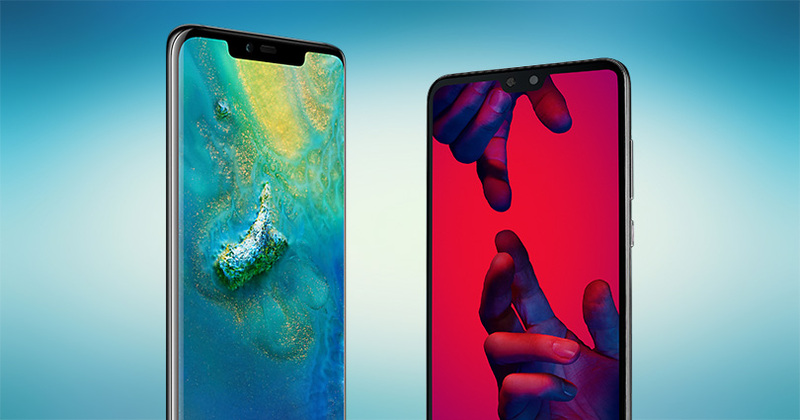 Should I buy Huawei P30 or P30 Pro? 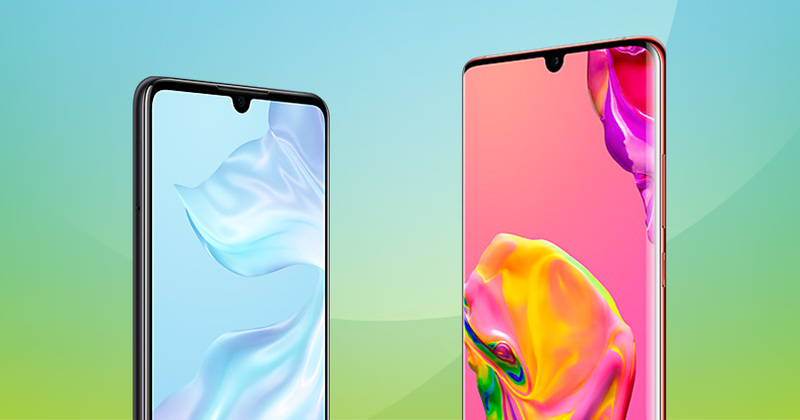 Here’s a guide on which new Huawei P30 is best for you. Find out which is the best Huawei mobile phone. Get the most from its triple lens and advanced features. Here’s everything you need to know about the P20 series.